Androgen deprivation therapy has been the mainstay of treatment for advanced and metastatic prostate cancer, but the treatment is not curative and most men progress to mCRPC. Treatment with CAB plus prednisone improves OS in patients with mCRPC whose disease has progressed during or after docetaxel-based therapy. Androgen deprivation therapy has been the mainstay of treatment for advanced and metastatic prostate cancer. Despite initial positive responses and clinical improvements in more than 90% of patients, the treatment is not curative, and most men eventually progress to metastatic castration-resistant prostate cancer (mCRPC). Men with mCRPC have incurable disease with a poor survival, despite intensive therapy. The five-year survival rate is only about 30%, and median survival rate is approximately three years. Over the past few years, therapeutic options for mCRPC patients have expanded with the approval of several novel drugs by the American Food and Drug Administration (FDA). Cabazitaxel (CAB), a novel tubulin-binding taxane, was approved by the FDA in 2010 for the treatment of mCRPC in the post-docetaxel setting as second-line therapy. According to Patel et al, taxane chemotherapy significantly changed the treatment landscape in mCRPC. In addition to inducing apoptosis by microtubule disruption, taxanes have been shown to decrease translocation of the androgen receptor (AR) to the nucleus in prostate cancer cells as well as decrease transcription of the AR protein. 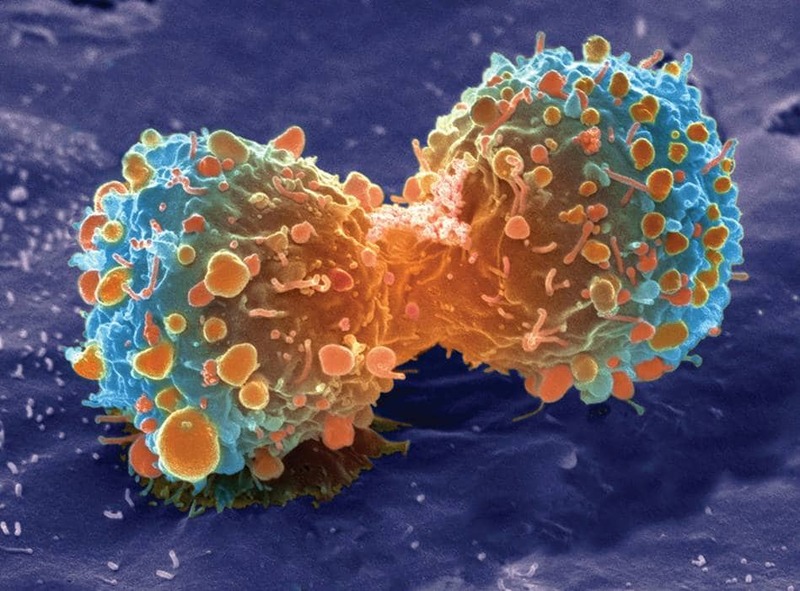 CAB has been shown to overcome tumour resistance to taxanes. Preclinical models of multidrug-resistant human and murine cancer cell lines demonstrated improved cytotoxicity with CAB compared to docetaxel. Unlike its parent, CAB has poor binding to the adenosine triphosphate-dependent drug efflux pump P glycoprotein, allowing the drug to accumulate intracellularly at greater concentrations than docetaxel and is thought to be part of the mechanism for improved CAB cytoxicity. Mita et al initially tested CAB in a phase I trial in 25 patients with metastatic solid malignancies, eight of whom had mCRPC. Participants had two or fewer previous lines of therapy and 32% had previous taxane exposure. Doses were escalated from 10mg/m2 to the maximum tolerated dose of 25mg/m2. Four patients achieved a partial response, two of whom had mCRPC. These results were confirmed by the findings of the 2010 prednisone plus cabazitaxel or mitoxantrone for metastatic castration-resistant prostate cancer progressing after docetaxel treatment trial conducted by de Bono et al. The team compared the efficacy and safety of CAB plus prednisone with those of mitoxantrone plus prednisone in men with mCRPC with progressive disease despite docetaxel-based treatment. Median follow-up was 12.8 months. The primary endpoint of overall survival (OS) in the intent to treat population was 15.1 months in the CAB group versus 12.7 months in the mitoxantrone group, demonstrating a 30% relative risk reduction of death. Progression-free survival (PFS) was also statistically better in the CAB group compared with the mitoxantrone group (2.8 versus 1.4 months). A subgroup analysis showed that patients with measurable disease had significantly better tumour response rate (14.1% versus 4.4%) and prostate-specific antigen (PSA) response rate with CAB compared with mitoxantrone (39.2% versus 17.8%). They concluded that treatment with CAB plus prednisone improved OS in patients with mCRPC whose disease has progressed during or after docetaxel-based therapy. According to Zschäbitz et al retrospective meta-analyses have come to contradicting results for the optimal sequence of medication. The aim of the team’s study was to assess factors predictive for efficacy of CAB. They analysed all patients with mCRPC treated with CAB at their centre. A total of 69 patients received CAB (26.1% second-line, 36.2% third-line and 37.3% >3rd line). Median OS on CAB was 10.0 months. Median PFS on CAB was 3.9 months. There were no differences in OS and PFS regarding treatment line of CAB (second versus higher, second- and third versus higher). Duration of remission on first-line treatment (>6 months vs </= 6 months) was associated with a longer PFS with subsequent CAB treatment (four months versus three months). Patients with visceral metastases had a shorter PFS (three months) and OS (8.7 months) on CAB compared to patients who had bone and/ or lymph node lesions only (PFS: 5.8 months, OS: 11.7 months). The authors concluded that a longer PFS to any first-line treatment for mCRPC correlates with a longer PFS to CAB for any later line treatment. Patients with nodal and bone metastases only had a significantly superior PFS and OS with CAB treatment than patients with visceral metastases. In the CAB versus docetaxel as first-line therapy for patients with mCRPC or FIRSTANA trial (2017), Oudard et al assessed whether CAB 20mg/m2 (C20) or 25mg/m2 (C25) is superior to docetaxel 75mg/m2 (D75) in terms of OS in patients with chemotherapy-naïve mCRPC. The primary endpoint of this randomised phase III trial, involving 1 168 patients, was OS. Secondary endpoints included safety, PFS, tumour, PSA, pain response, pharmacokinetics and health-related quality of life. CAB slightly improved OS rates (24.5 months [C20], 25.2 months [C25], and 24.3 [D75]). Hazard ratio for C20 versus D75 was 1.01, and hazard ratio for C25 versus D75 was 0.97. Median PFS was 4.4 months with C20, 5.1 months with C25, and 5.3 months with D75, with no significant differences between treatment arms. Radiographic tumour responses were numerically higher for C25 (41.6%) versus D75 (30.9%). Rates of grade 3 or 4 treatment-emergent adverse events were 41.2%, 60.1%, and 46.0% for C20, C25, and D75, respectively. Febrile neutropenia, diarrhoea, and haematuria were more frequent with C25, peripheral neuropathy, peripheral oedema, alopecia, and nail disorders were more frequent with D75. Patel et al noted that more prospective, randomised trials of CAB as a first-line option are currently in progress and will hopefully clarify where it belongs in treatment sequencing of mCRPC. The possibility that CAB be approved as first-line therapy at different dose levels is currently being considered by the FDA. de Bono JS, Oudard S, Ozguroglu M et al. TROPIC Investigators Prednisone plus cabazitaxel or mitoxantrone for metastatic castration-resistant prostate cancer progressing after docetaxel treatment: a randomised open-label trial. Lancet, 2010. Mita AC, Denis LJ, Rowinsky EK et al. Phase I and pharmacokinetic study of XRP6258 (RPR 116258A), a novel taxane, administered as a 1-hour infusion every 3 weeks in patients with advanced solid tumors. Clin Cancer Res, 2009. Oudard S, Fizazi K, Sengelov L et al. Cabazitaxel Versus Docetaxel As First-Line Therapy for Patients With Metastatic Castration-Resistant Prostate Cancer: A Randomized Phase III Trial-FIRSTANA. J Clin Oncol, 2017. Patel SA and Hoffman-Censits J. Cabazitaxel in the treatment of metastatic castration-resistant prostate cancer: patient selection and special considerations. Onco Targets Ther, 2017. Zschäbitz S, Vallet S, Hadaschik B et al. Efficacy of Cabazitaxel Treatment in Metastatic Castration Resistant Prostate Cancer in Second and Later Lines. An Experience from Two German Centers. J Cancer, 2017.